How does the oneIDentity+ service work? 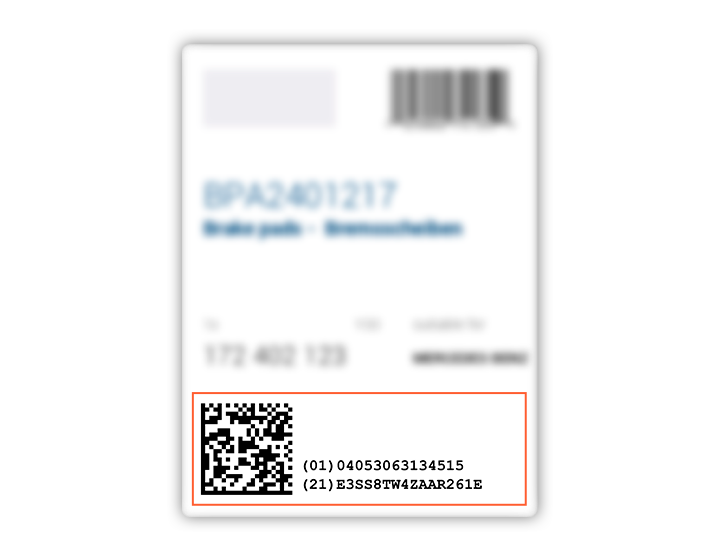 The oneIDentity+ service platform offers manufacturers the option, based on serialised product labels, of providing a wide range of applications worldwide. This can be done irrespective of the mobile device used, be it a scanner, iPhone, iPad, Android phone or tablet. 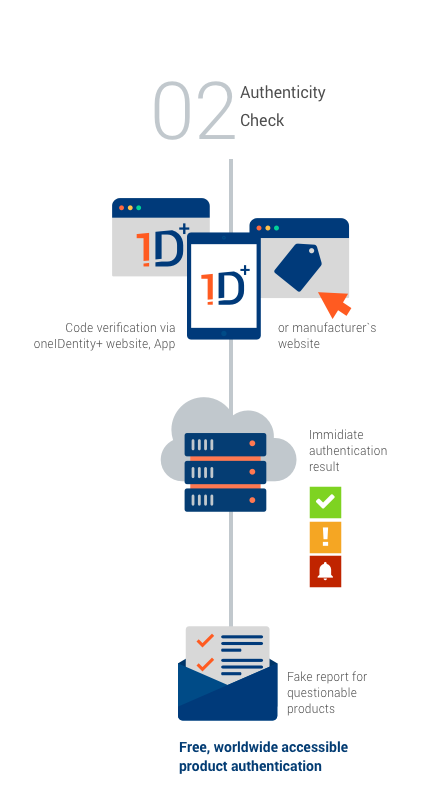 The applications range from checking the authenticity of products using the unique and globally standardised labelling system to enabling service staff to access information on specific products directly from a mobile device. The possibilities are great – the potential even greater. 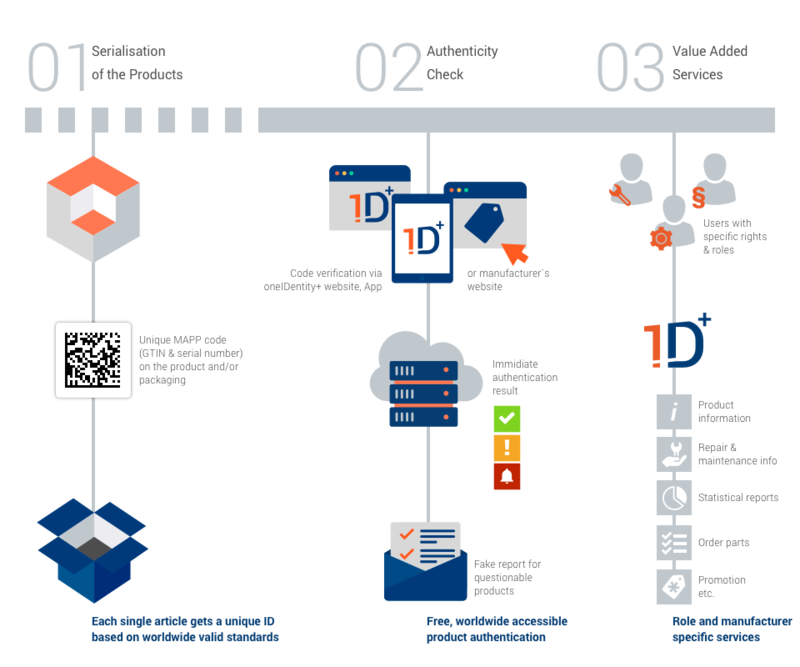 oneIDentity+ provides interesting and diverse applications to a wide range of users. 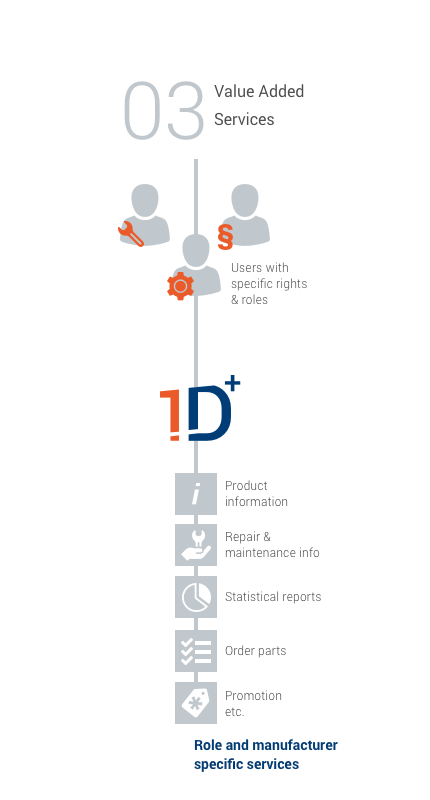 For example, work-shop and manufacturer service employees can access product information in real time, even from a mobile device. The end customer, such as an internet buyer, can also benefit from oneIDentity+. Buyers can check that their products are indeed genuine. They can also receive additional information or special offers as appropriate. 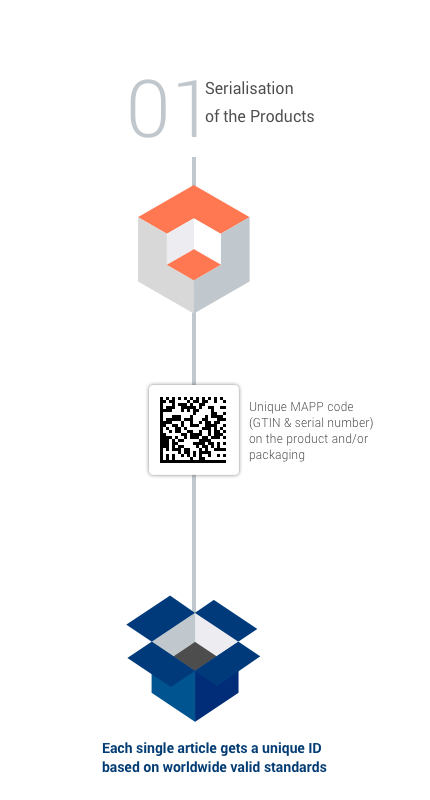 The multi-company and standards-based service platform oneIDentity+ allows institutions such as customs and other authorities to check products from different businesses and branches using just one solution. Process efficiency is improved and a higher level of security for companies is the result.. The following examples show how diverse the applications are for a wide variety of user groups. There will certainly be something there for your company. Do you have an iPhone or iPad? Then just download this version onto your device. For Android tablets and mobile phones oneIDentity+ offers this version of the app. Don’t worry if you use a Windows Phone: a new app version will be available soon. Check the MAPP code directly at our webpage.